Here you are some of the items we have custom made for our customers. Thinking outside of the box? We can help!!! Why promote and build your brand with something that everyone else has? We can take your idea from a simple hand drawing all the way through to a finished product that exactly meets your needs and matches your target market. Feel free to Contact Us about your design idea today! Minimum order quantities do apply (please inquire). Click on the links below to see details on the type of customized work we have done for a handful of our clients. Features: A reusable bag that fits into a flat regular Canada Post Kraft Envelope! Features: Clean clothes never touch where dirty clothes have been. Use as a hamper at home. 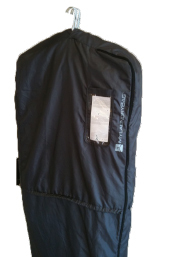 Use My Laundry BagTM to carry your clothes to your dry cleaner. Dry cleaner friendly design! Features: Insulated interior keeps take-out food fresh. Features: Using a special technique and advanced process we can print full colour reproduction of photo prints. Features: A reusable bag that folds into a heart shape. Features: A certified organic reusable bag that folds up into a shape of a miniature bed mattress. Features: A reusable bag that folds into a customized balloon shape. 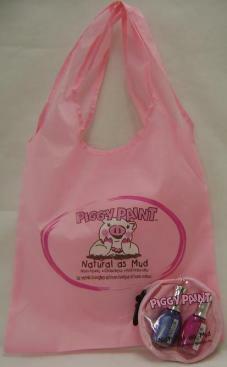 Features: Retail Packaging that becomes a reusable bag! 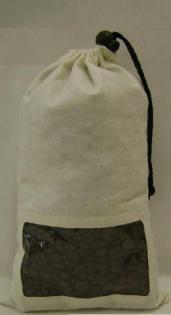 Features: A durable reusable bag that eliminates cardboard boxes used in shipping and handling. Features: Fold down dividers, anti-slide bottom and "snap open" design. Made from 100% RPET. 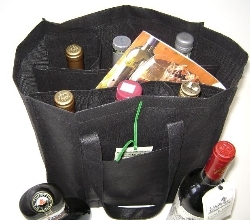 Features: A reusable bag with two compartments for wine bottles. Folds into a grape shape. Features: Great packaging idea! Custom sizes and imprint available. 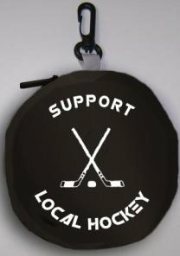 Features: A foldable reusable bag designed for local community sports fund-raising. 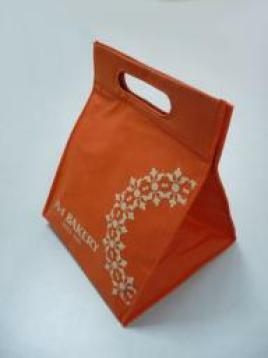 Features: A reusable bag designed as a purchase incentive which also acts as an ideal retail display package. 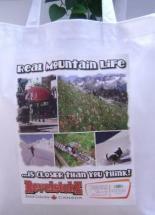 A custom-designed reusable bag with separate compartments and outside pocket!